If you’re a blogger, journalist, or simply have a desire for more knowledge, you’ve most definitely faced information organization problems. Sometimes being able to access and find information quickly is crucial. Nowadays the web is enormous and it’s a big advantage to have a place where you can store all your bookmarks, pictures and links, access them anytime, anywhere and be able share them quickly. If you’re as lazy as I am you’ve probably got something like a ‘Do it later’ folder in your bookmarks. And then you’re just shoving links there until that list is the length of your screen. Sometimes you’ve got a great idea and you write it down on a notepad, for example. Most likely you’d forget about it and never open it again. I’m kind of a pedant and I like when everything is organized neatly and quickly available. It’s especially true with my web experience. I remember those times when I had to dig through my browser’s history to find an image I wanted to show my friend. Then I started to wonder – is there a tool which would help with organizing bookmarks, pictures, write my notes and access it all immediately from multiple devices? After some time and research I came across Zootool. Ever since then I’ve been a die-hard Zootool fan. I use Zootool mainly for collecting images, however when writing this article I found some other outstanding tools with which you can quickly save, and organize, your notes, and thoughts. Zootool is about collecting, organizing and sharing your favorite images, videos, documents and links from all over the internet. They are a small, bootstrapped startup, located in Mannheim, Germany. Driven by a passion for design, web, code and all kinds of nerdery, they are working hard to build the most awesome tool for geeks like us. Add the Lasso button to your browser to save your favorite images, videos, documents and webpages in Zootool. Build your own little library of interesting things you find on the web. Use the Lasso in your bookmark bar to store new images, videos, documents and webpages in seconds. With its intuitive interface your Zoo is simply the best place to keep your stuff organized. Beautiful thumbnails make it super easy to browse your entries and with our tag and pack system you can be sure that your Zoo stays tidy forever. 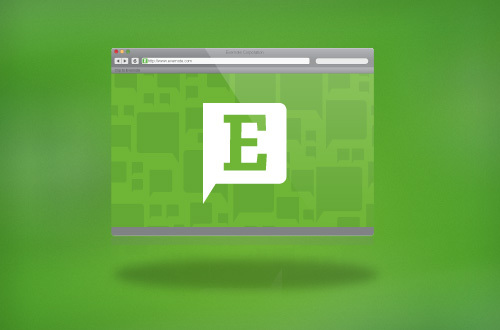 Sharing web content has never been easier. Setup your Twitter, Friendfeed, Delicous or Tumblr account and share all the stuff in your Zoo with your friends out there. Besides the lasso, Zootool also offers other types of tools like ultra-fast page saving and an even more comfortable way to share images on Twitter. There’s also a mobile version of the site and a WordPress plugin to include your recent Zootool entries in your blog’s sidebar. Evernote’s goal is to give everyone the ability to easily capture any moment, idea, inspiration, or experience whenever they want using whichever device or platform they find most convenient, and then to make all of that information easy to find. 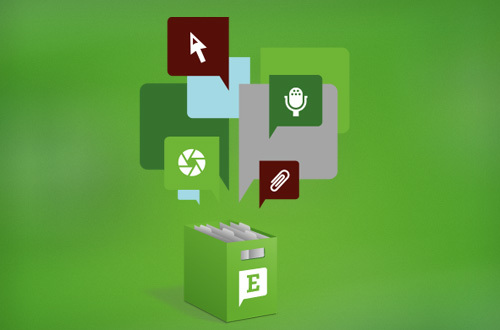 From creating text and ink notes, to snapshots of whiteboards and wine labels, to clips of webpages, Evernote users can capture anything from their real and digital lives and find it all at anytime. A light, simple tool to save web pages for reading later. We discover web content throughout the day, and sometimes, we don’t have time to read long articles right when we find them. Instapaper allows you to easily save them for later, when you do have time, so you don’t just forget about them or skim through them. 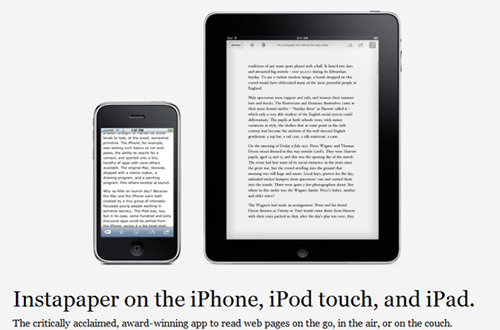 Instapaper has it’s own iPhone app so you can read your unread articles while you’re on the train, bus or just standing in line somewhere. 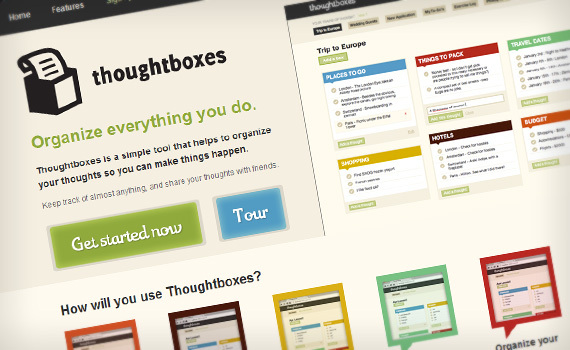 Thoughtboxes is a simple tool that helps to organize your thoughts so you can make things happen. Thoughtboxes has a very simple system to keep everything organized. You have a train of thought, which is a main topic, and then you have a bunch of boxes, which are your lists of thoughts within that topic. See everything you need to do, all on one screen. Check things off as you complete them, or delete them from the list all together. Sometimes you need to organize complicated things like going on a trip. Thoughtboxes gives you the flexibility to separate different thoughts and keep everything neat and tidy. You can minimize boxes that you aren’t currently working on to tidy up your page. Thoughtboxes is great for laying out all of your ideas in one place. You can also put links in your boxes for quick reference. When you have many streams of thought, you can hide them on the top of the screen to clean up your page. The Shelfster Desktop Tool is a research and writing tool that allows you to quickly gather your ideas and information from the web or from documents on your computer and write articles. All information can be organized using specific tags and is stored in your online account. Shelfster also has an iPhone application and bookmarklet. Diigo is a cloud-based personal information management system. Diigo provides you tools on all major web browsers, Android, iPad and iPhone to help you to access a variety of information. Diigo is a collaborative research tool on the one hand, and a knowledge-sharing community and social content site on the other. BlinkList is a powerful productivity tool that makes is much easier for anyone to share and save their links for later. They give you a browser button to save web pages you like in one click. With BlinkList you can save a local copy of any web page on your computer. That way, even if the web page disappears, you will always have a local copy that you can get back to later. Once you start saving more web pages, BlinkList will automatically start recommending web pages to you that you are likely interested in but have not yet discovered on your own. BlinkList has a lightening fast search engine that will help you find the links that you are looking for in a fraction of a second. You can search through your links faster than you can search through Google. Licorize is a minimalistic and fast to-do manager that you can feed with your bookmarks and web updates. Licorize begins as a bookmarking tool, providing a non-intrusive “add bookmark with one click” functionality. It is integrated in browsers, with plugins, extensions and bookmarklets, provides readability features, multi-tagging, site thumbnails and more as an evolution of bookmarking. Beyond bookmarks, Licorize provides built-in types to classify information, which have specific behavior and are hence more refined than simple tags. Licorize can also be a complete timeline of your web worker lifestream: it syncs with Twitter, Evernote, DropBox, RSS, LinkedIn, Instapaper, ReadItLater, E-mail… And you can access it all from your mobile. Anybody can join your projects – it’s easy. The limits of “just tagging” bookmarks become clear once you want to share work and ideas on the “bookmark” collection: you need to define to-do’s, distribute things to be done, and discuss ideas. 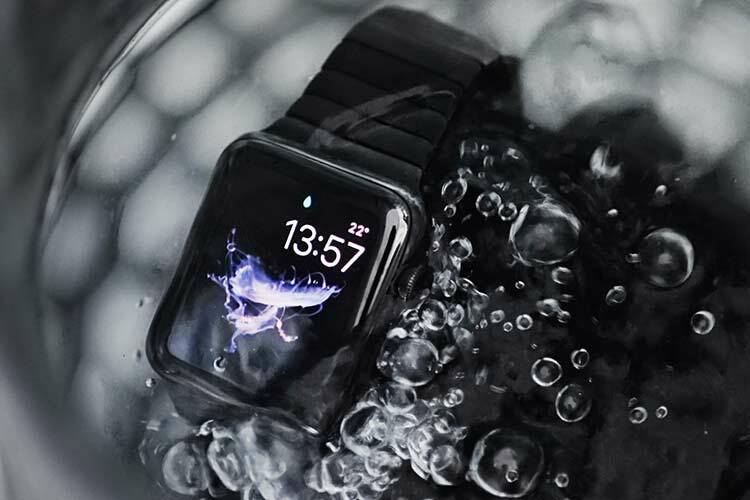 Licorize goes beyond simple tagging in a variety of ways. Licorize supports sharing certain collections with certain users, supports to-do lists, priorities, Kanban boards, weekly reviews, weekly work view, even recording work and monitoring costs. Skloog is a tool where you can easily create shortcuts to all of your favorite sites, bookmark pages that you’d like to refer back to at a later time and organize and arrange all of this information so that you can access it instantaneously. Favilous provides you with two bookmarklets which you add to your browser favourites bar to save webpages or mark them for reading later. You can then navigate to all your favourite web pages through Favilous using a number of different views, like the one on the left. All your bookmarks are in the cloud, backed up and available anywhere. Forget about synchronising across multiple browsers. Springpad gives you a place to quickly and easily save anything you want to remember. Take a note, create a task, scan a product barcode and look up the book your friend mentioned. The best part is that no matter where you are, Springpad is there with you to make sure you don’t forget something worth remembering. Just think it and Spring it, and it’ll be there for you when you need it. Not only is everything you save automatically synced across your mobile devices and any browser, but Springpad also automatically uses the power of the internet to add useful information and relevant offers. From reviews and price drops to showtimes and reservations, Springpad keeps on working for you even when you’re not thinking about it. Isn’t that how it should work? Springpad automatically categorizes everything you save and gives you powerful organizational features. Tag anything. Create notebooks to separate your home life from your work life or plan trips and special projects. Use the board to visually plan your next steps. It’s as flexible as you’d like it to be. Think of Springpad as your own place in the cloud – a high-powered internet-connected personal database of everything that’s of interest to you, even if you’re not ready to do something about it right away. Everything is automatically synced between your mobile devices and the web for instant and universal access. Netvibes is a free web site that lets you personalize your web experience. Take everything that matters to you while online — newspapers, blogs, weather, email, search, videos, photos, social networks, podcasts, widgets, games and funny applications — then bring them together in one single page, your personalized Dashboard. Make this Dashboard automatically update every time you open it. That’s what netvibes does. And it does so much more. With Bundlr you can select the most relevant content about your favorite topics, be it photos, videos, tweets, presentations or articles. Research for a work assignment, pick your favorite music videos, cover real-time breaking news or wrapping up an event are just some examples of things you can do. Display your bundles in a grid or a timeline. Great for a quick overview of your content and to follow a bundle being updated in real-time. Clip content together by inviting your friends or colleagues to collaborate with you on a bundle. Share the things you clipped on social media or embed them on you blog or website. The bundle will always be updated there too. Now we have good idea about great tools to organize bookmarks. The next step will be to see the must have Firefox Addons.